This is a follow up to my letter of June 14, in which I described badly trimmed trees on San Miguel Avenue and broken branches. After I called, the city came out immediately and cut the broken branches. They then came back and did an assessment of the trees on San Miguel Avenue. They are beginning the arduous job to correctly trim all the overgrown trees. The city guys were super nice and very smart. They will be trimming for “structure and balance.” Hooray! People usually (okay, always) complain about everything the city does. Not me; they are doing a super job, and we appreciate the massive effort to correct these troublesome trees. 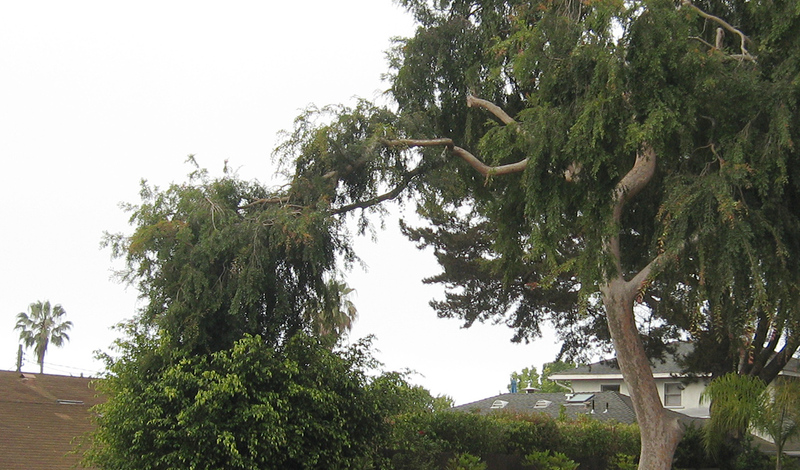 Here’s a photo to show how precarious these trees are (and what a sloppy job the private company did! ).